Putnam General Hospital: Volunteer Opportunities. The volunteers of the Putnam General Hospital Auxiliary help provide the best possible care in both patient and non-patient areas of the hospital. Auxiliary members give of themselves, sharing their time and experiences in helping those in need. Auxiliary members also hold several events throughout the year to raise funds for the hospital. One popular community event funded by the Auxiliary is the annual flu drive, where free flu shots are administered to the public. Volunteers can become involved by working four-hour shifts every other week, although many enjoy working more. 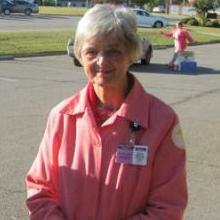 The Auxiliary has provided over 20,000 volunteer hours to the hospital to date. Responsibilities may include working in the gift shop, information desk, operating room, filing, or fundraising. The Auxiliary is a great way to meet interesting people and be involved in the community." If you are interested in becoming an Auxiliary member or would like to learn more, please contact the Auxiliary Front Desk at (706) 923-2005, or contact Marsha Grimes, Foundation Director at (706) 923-2028. The Putnam General Hospital Foundation's mission is to support Putnam General Hospital and improve healthcare in the community through the purchase of medical equipment that will benefit patient care. All projects are made possible through financial gifts to the Foundation, a non-profit 501(c)(3) organization. The Foundation is comprised of volunteers who raise funds on behalf of the hospital and make gifts of funding for medical equipment to the hospital. Since its inception, the Foundation has donated almost $1,000,000.00 to Putnam General Hospital. The Foundation's most recent purchase was IV Pumps to continue the Hospital's ongoing mission to monitor and improve patient safety. The cost of the pumps was approximately $50,000. The Foundation uses donations, special events, and sponsorships annually to make these contributions to our hospital and ultimately our community. The Foundation is always looking for more members to help carry out this important task. Volunteers are needed to help with annual mail outs, the annual golf tournament, soliciting donations from businesses in our area, and working on major gifts. For more information on volunteering or to learn how to donate, please call Marsha Grimes, Foundation Director, at 706-923-2028. "We need our hospital� Our hospital needs us."